We're kick-starting the new year with one of our most exciting coffee giveaways yet. For many coffee lovers, the idea of having free premium specialty coffee sent to them for half a year or even a quarter of a year is a dream come true. 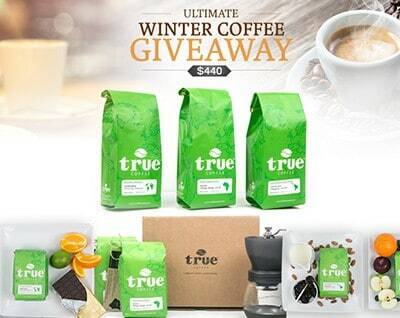 Our Ultimate Winter Coffee Giveaway has made that a real possibility. We've partnered with True Coffee, a premier specialty coffee subscription company known for its extremely high quality and ethically-sourced coffee. Without exaggerating, their coffee is distinctly in a league of its own and to regard it as just “regular” coffee would be a disservice. Their exquisite blends and single origin brews need to be experienced to be fully appreciated with their incredible range of complex and balanced flavors. 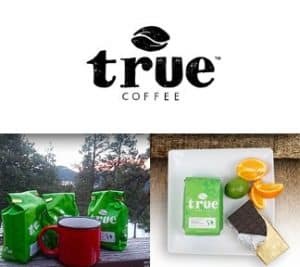 If you'd like more information about True Coffee, check out our recent True Coffee review to get a better understanding of why we've been so impressed by their micro-lot coffees. Enter to win this Ultimate Winter Coffee Giveaway which features $440 worth of coffee prizes certain to satisfy both the newcomer and veteran coffee lover. Cheers and good luck! If price were no object I would like to try the Kopi Luwak My daughter did a research paper on it and we found it fascinating. I would try the Volcanica Hawaiian Kona Medium Roast Coffee! I am very intrigued about this coffee, and hope to try it soon! 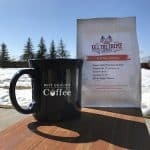 I would love to try the https://www.bestqualitycoffee.com/product/grosche/tanzanian-peaberry-dark-roast-whole-bean-coffee. I would like to try the Tortuga Key Lime Ground Light Roast Coffee 96 oz. I would like to try some of the Kona coffee from one of the Hawaiian Islands. I would love to try the Volcanica Coffee Kopi Luwak Medium Roast Coffee. It sounds amazing and I’ve never had a really great coffee before just the usual coffee you buy in the grocery store. I am always looking for a new brand of coffee to try. Looks good. So need this. Huge coffee drinker and running low right now. I would love to win this! I love coffee and I’m always looking to try new blends! 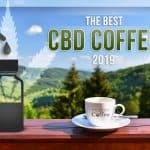 I would love to try the CBD coffee or vitamin infused. They sound very interesting. always looking to try a new coffee! What a great giveaway for some delicious coffee! My first choice due to physical ailments would be the cbd infused coffee that you offer but as far as having a great quality coffee I would have to refer back to the best whole bean coffee that I ever had was from Panama. By far it was the best coffee I ever had and I enjoyed every cup of it regardless of how strong or weak I made it, so My other choice would be the second link. All this coffee looks so good!!! I plan on making an order next month to give as a birthday gift!!! My son would love this! He has been a coffee lover for years! 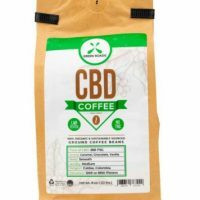 Awesome that you have a CBD coffee. That is the kind I would like to win! Hi Catherine, thanks for the response. We’ll be featuring more CBD Coffees brands very soon. Stay tuned! This would be amazing! Good luck everyone! https://www.bestqualitycoffee.com/product/grosche-fair-trade-haiti-blue-forest-dark-roast-coffee-16oz sounds like a wonderful coffee for this coffee lover! great selection – thanks! High quality Coffee and quantity of coffee is excellent! I go with premium Volcanica Coffee Hazelnut! You cant go wrong with Hazelnut! 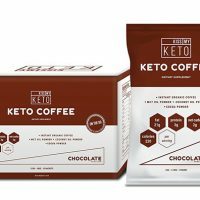 I would like to try the light roast coffee https://www.bestqualitycoffee.com/product-category/brewed-coffee/light-roast-coffee. I noticed that most are dark roast, but I prefer the LIGHT roast! Hey Kathleen, we have plenty of light roast options as well. 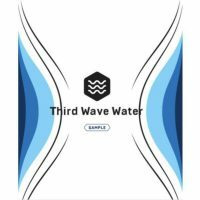 Have you checked this page out? I would love to try this Coffee to see if I love it or not and I thank you for this Change . You’re very welcome! We’ve tried this coffee before, and it doesn’t disappoint. If you’d like more info, check out our full True Coffee review. I would love to try them all just once! Good choice. Their Peaberry is excellent! I would love to try Grosche Tanzanian Peaberry Dark roast coffee. 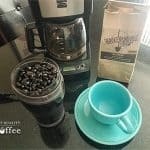 I would love to try Grosche Tanzanian Peaberry Dark roast coffee! Thanks for an awesome giveaway! Can’t wait to try some of your coffee. 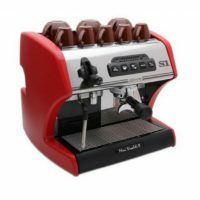 It would be great to win this – I love trying different coffees! I’d LOVE to try this coffee! There is very little in life that is as satisfying as the perfect cup of coffee. I love coffee1!! I love my coffee but husband can’t live without his several times a day I would love to win this for him!!!! Sounds like the freshest Coffee delivered, woot. Wow! Great prize for a coffee aficionado!!! I would like to try Grosche Organic Fair Trade Yirgacheffe Whole Bean Coffee . Since it says that it is the worlds most sought after coffee, I would love to see if I agree. I would love the opportunity to try your coffee. 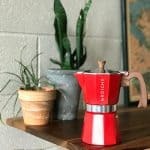 Great contest I’d love to try new coffee! Would love to try any of them, they all sound wonderful! The Hawaiian Blend sounds delectable! I am drinking a Kona blend as I enter this giveaway. After looking around the site I would choose https://www.bestqualitycoffee.com/product/koa-coffee-kau-peaberry-medium-roast-whole-bean-coffee-8oz-limited-release if money was no option. I would love some coffee right now. But its -25 outside it’s cold to go anyway. Soo excited for this giveaway!!!!! I would be in heaven if I won this!!!! There is nothing I LOVE more then a nice hot good cup of coffee. Thank you and good luck to everyone. Who doesn’t love great coffee. I would love to try Peet’s Coffee Arabian Mocha Java Dark Roast or anything colombian. I have found that Colombian coffee has a absolutely wonderful taste and smells amazing while brewing. But I’m always open to try new things so maybe need to try the exoctic coffee as well. this would be an awesome prize to receive! thanks for the chance!! I would love the chance to try out a new brand of coffee. Wow! So many choices! Where to begin!?! If price wasn’t involved I would like to try The Aloha island blend! 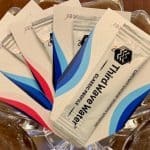 Great giveaway, who doesn’t like coffee?! All I care about is coffee…and maybe, like, 3 people. Would love to try this coffee!! Best coffee is simply the best!! This sounds so heavenly. Good coffee is such a wonderful thing to have! The Koa Coffee Maui Mokka Medium Roast Whole Bean Coffee sounds really amazing–I would love to try that one! So many coffees we’d love to try!! I would be interested in trying the Senseo Kona Blend Medium Roast Coffee Pods, i like a medium roast but not the typical type as many just are not strong enough. I’m a coffee-ic. Not a coffee-holic because the familiar ‘hol’ portion of the made up word is related ONLY to alco’hol’ so I correct everyone that I’m not a coffe-holic, just a coffee-ic. Both me & the hubby are big coffee drinkers. I drink coffee all day. I’d love to try the Koa Coffee Peaberry Kona Dark Roast Coffee. This coffee just sounds special!!! Full-bodied, and smooth! YUMMY!!! I would love to try these coffees, especially https://www.bestqualitycoffee.com/product/dunkin-donuts-dark-roast-ground-coffee-16oz. I’d love to try these coffees, especially https://www.bestqualitycoffee.com/product/dunkin-donuts-dark-roast-ground-coffee-16oz. I like a strong, dark coffee. I’d Love to try this.. Thanks for the chance to experience your premium coffee. 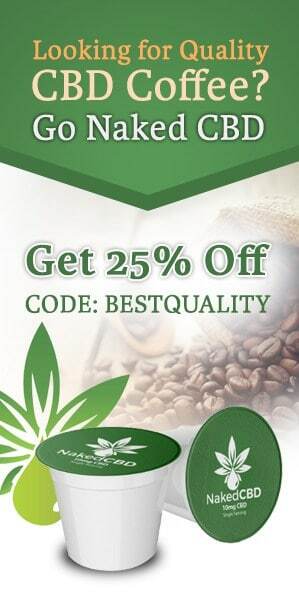 I’d like to try the https://www.bestqualitycoffee.com/product/vitacup-decaf-gourmet-blend-medium-roast-healthy-coffee-pods-16ct. What I’d really like, and what I can’t seem to figure out is why no one makes one that I can find, is a decaf mocha k-cup. Without peppermint. I’ve been strictly decaf for almost 18 years, still a coffee addict, and love my mochas. Just reserve the good flavors for caffeine addicts, is that it? I like espresso so the darker the blend, the better for me. I am a coffee fanatic and would love to try your Caffic Coffee!!! I am so excited about this opportunity to win the best coffee bundle!! I’d like to try Lavazza Perfetto Espresso Dark Roast K cups. You have so many great coffees on your site. It’s hard to choose just one but the Volcanica Coffee Kopi Luwak Medium Roast Coffee sounds amazing. I’ve never had a really expensive coffee before but I’d love to taste this one. Sounds great! Would love to try these! I would love to win this coffee prize! https://www.bestqualitycoffee.com/product/grosche-organic-fair-trade-yirgacheffe-whole-bean-coffee-16oz is just one of the many coffees you carry. I’m a coffee fanatic ! This giveaway is excellent. I mean as a coffee lover, I’d go for the most expensive, becuse it’s gotta be an experience right! Coffee is my go to .. wake me in the morning . I would love to win a year of coffee. 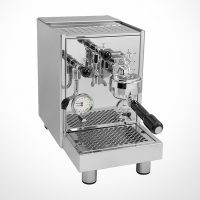 I would choose the Grey’s Yirgacheffe Ethiopian coffee that you have featured in your article. The Tortuga Caribbean Gold Rum Ground Dark Roast Coffee sounds absolutely tantalizing! I want to try a coffee that is considered the best in the world! I would enjoy trying the columbion coffee. I would definitely like to try the colombian coffee. Would love to try Koa Coffee Maui Mokka Medium Roast Whole Bean Coffee . Sound delicious! The Gayo Kopi Luwak from Indonesia! I’ve never had it, and it must be Amazing at that price! https://www.bestqualitycoffee.com/product/gayo-kopi-luwak-medium-roast-coffee-100grams I have had a number of truly delicious Vietnamese Coffees- my faves- and I have had their Incredibly expensive Weasel Coffee- we first drank and then purchased it in Vietnam- we even met the weasels! 🙂 Also have had marvelous Puerto Rican Alto Grande coffee- my other fave! I love coffee. I would love to win oe of these prizes. I can’t wait to drink your coffee! Maybe try the Ethiopian coffee. What exotic coffee blend listed on our site would you like to try if price was not a consideration?